Speed Girl is the true story of how aerospace engineer turned race-car driver Janet Guthrie triumphed over hostility, chauvinism - even sabotage - to become the first woman to finish the Indianapolis 500. It's the 1970s, and the fight for women's rights is gaining speed. In the sports world, Billie Jean King is breaking gender barriers on the tennis court. Janet Guthrie doesn't consider herself a "women's libber," but to racing's good ol' boys, she's a threat. When Guthrie makes a bid for Indy in 1976, the other drivers slam her mercilessly, even suggesting she's really a man. Fans heckle her, hoping she'll crash. Guthrie smiles through the pain and qualifies for Indy in 1978. And even a broken wrist and a rift on her team can't derail her - she finishes in the top ten. Bestselling author Stephan Talty's riveting biography brings Guthrie's passion and persistence vividly to life. 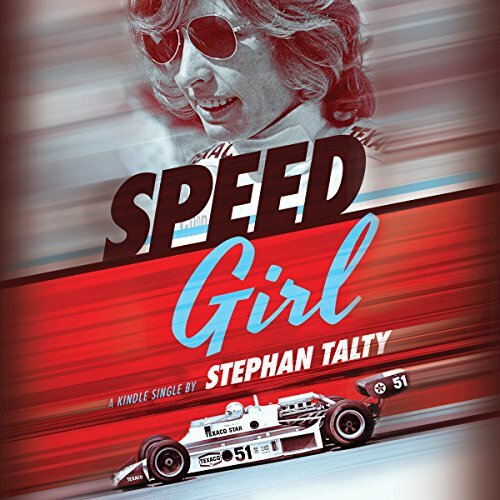 With gripping realism, Speed Girl immerses listeners in the untold story of the woman who came to Indy a racer and left a trailblazer. ©2017 Stephan Talty (P)2017 Brilliance Publishing, Inc., all rights reserved.